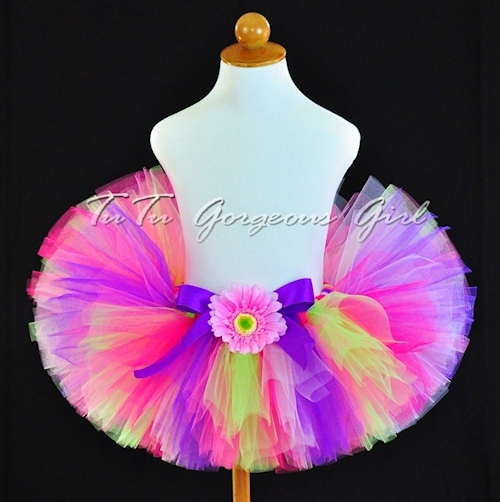 Pink, purple, lime green birthday tutu with polka dot ribbon streamers. 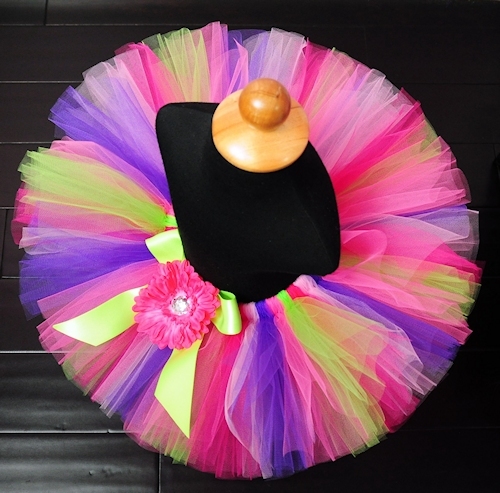 This gorgeous birthday tutu features every little girl's favorite colors. 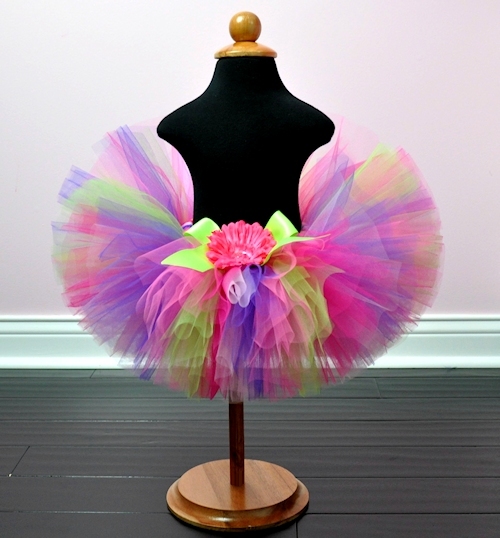 Pink, shocking pink, fuchsia, purple and lime are party perfect colors, for a fun birthday tutu, photo prop, Halloween costume or everyday play. 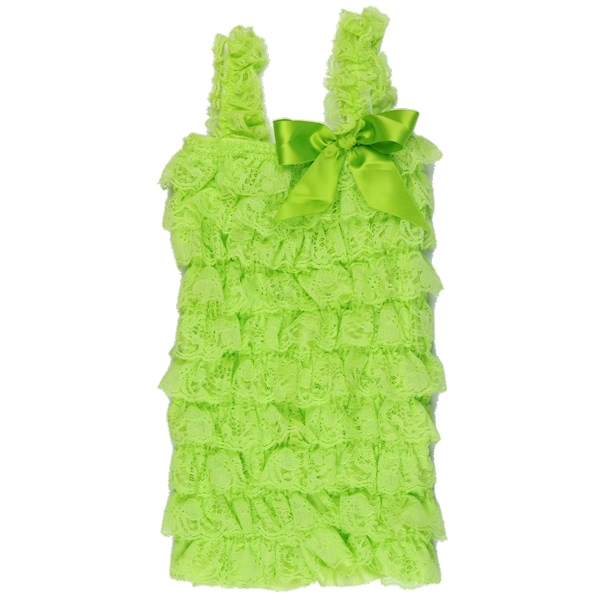 Tutu includes a satin bow at the waist and optional flower clips and stretch headband.